Do you have gold, silver or platinum to sell in the Toledo, Ohio area? If so, look no further than Toledo Gold Exchange. With gold, silver and other precious metal prices being at an all-time demand, now is the best time to sell your unwanted jewelry or turn in those coins that have been collecting dust. We even accept broken precious metal jewelry and coins that have lost their luster and shine. 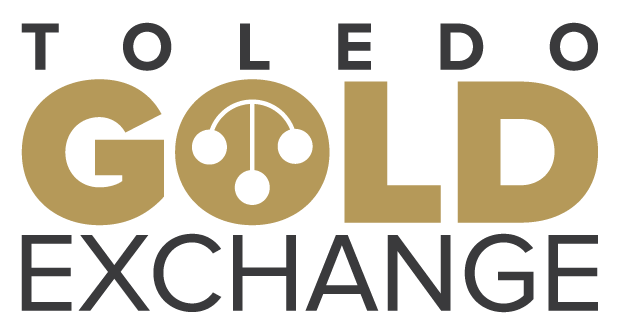 Working with Toledo Gold Exchange is easy and that’s what makes us the top spot in the greater Toledo, Ohio area to buy & sell gold, silver, and platinum. Stop in today and check us out! Not ready to completely part ways with your jewelry but still need a little extra cash in your pocket? Toledo Gold Exchange offers jewelry loans, which are quick, convenient and will have you walking out the door with cash in your hand. Simply bring your jewelry in to have it looked at by one of our professional and experienced employees, who will provide you with a quote on sight. Toledo Gold Exchange buys precious metals and jewelry but we also provide jewelry repair as well. As a member of the Jewelry Board of Trade (JBT), with professional Graduate Gemologists employed at our location, you can be rest assured that your jewelry repairs are being made by the best in the industry. Conveniently located on Woodville Road in Toledo, Ohio, Toledo Gold Exchange is happy to answer any questions that you may have about our jewelry buying program, our precious metal buying program, jewelry loans or our jewelry repair service. Simply stop by our location to speak with a member of our professional team or give us a call at 419-720-1999. We look forward to becoming your preferred partner for when you need to sell jewelry, precious metals, obtain a jewelry loan or are in need of jewelry repair.